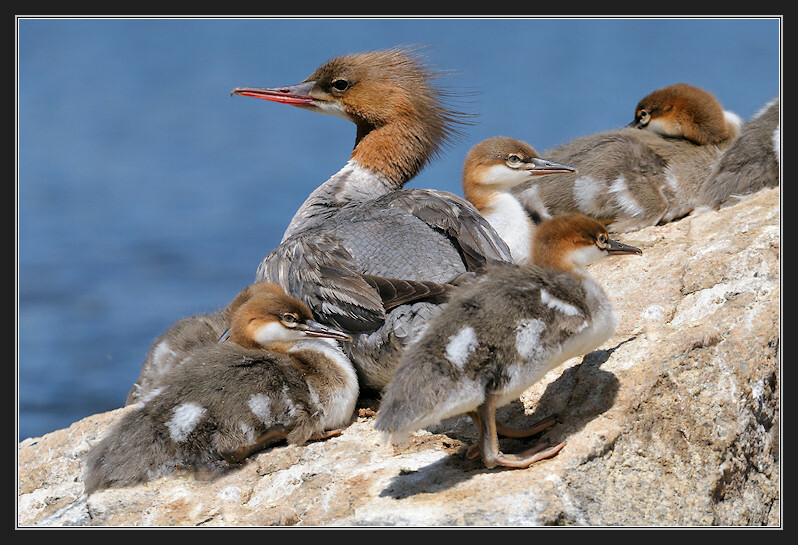 Common Merganser mother and ducklings at Van Norden Lake. This is avian maternity time on the summit for many of the birds that are summer residents. I saw several adults on Serena and Dulzura on Sunday. I had no idea what kind of birds they were. Thanks for sharing! Great picture of proud mom and fuzzy chicks.